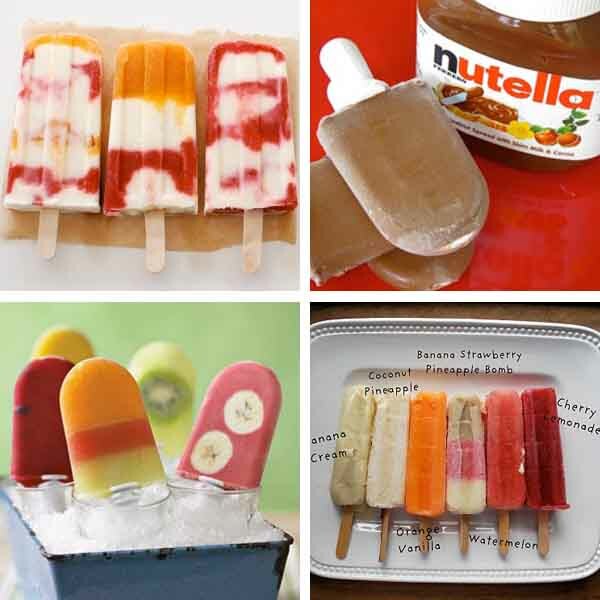 Just because the kids are heading back to school doesn’t mean that summer is over. 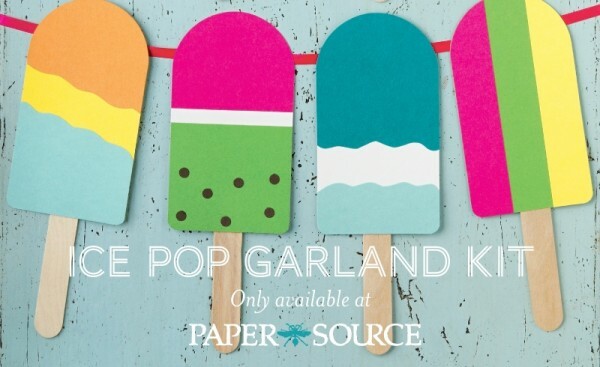 The new Ice Pop Garland Kit is the perfect reminder of refreshing, sun-filled days ahead. The promise of something sweet and cold in bright cheery colors is enough to inspire a party. 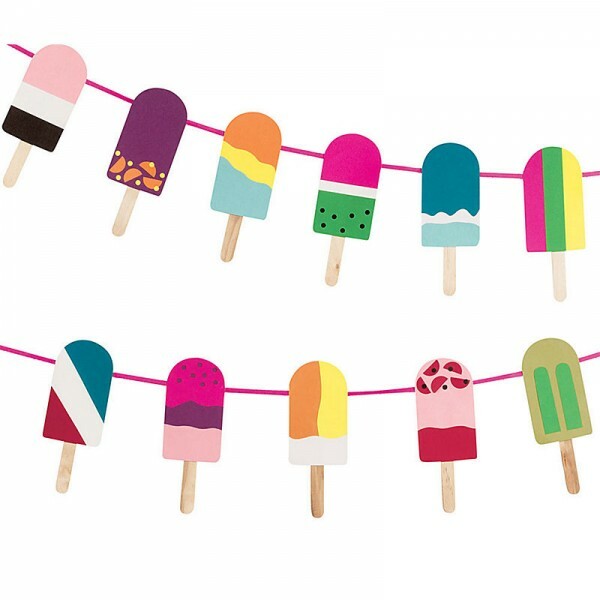 Since these colorful paper treats are a hit among kids and adults, we scoured Pinterest for equally delightful recipes that would complement a summer party or after-school gathering. Kids love making their own treats. And, the best part for you?… It’s still nice out, so they can enjoy them outside, where sticky hands can be hosed off afterwards!